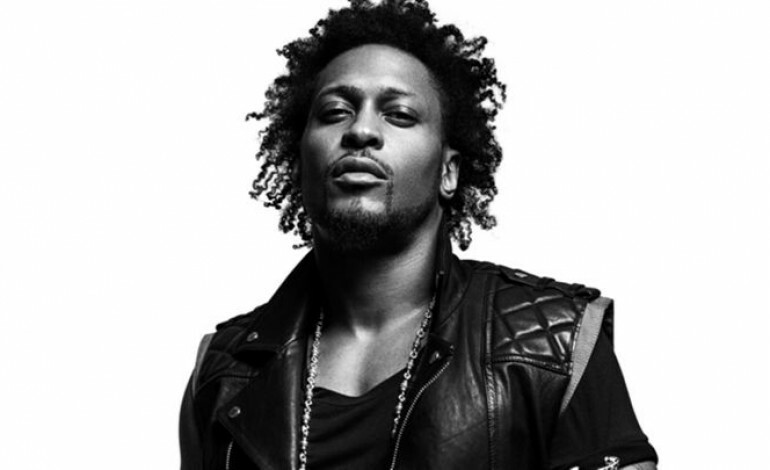 R&B icon, soul-stirring lyricist and beast vocalist, D’Angelo, announced his Summer 2015, The Second Coming Tour. After over a decade, D’Angelo did a spontaneous, yet much appreciated drop of his twelve track studio album entitled, Black Messiah. The members of D’Angelo’s band the Vanguard are singers Kendra Foster, Charlie “Red” Middleton, and Jermain Holmes, Jesse Johnson and Isaiah Sharkey on guitar, Cleo “Pookie” Sample on keyboards, Chris “Daddy” Dave on drums, and Pino Palladino (Nine Inch Nails) on bass. Back in the day, neo-soul artist D’Angelo was the epitome of musical eclecticism, vocally and instrumentally. His sound has thoroughly influenced modern day soul artists across the world. D’Angelo’s early albums Brown Sugar (1995) and Voodoo (2000) delivered heavily in melodic grooves such as jazz and blues with two scoops of sub-saharan elements. Simply classic and urban retro, he created his own entity out of prolific rhythms and harmonic progressions. D’Angelo’s newest single “Sugah Daddy” has fans anticipating his future performances and respecting his truthfulness to his art as paying great homage to his late friend and Hip-Hop legend J Dilla. Following his release of Black Messiah, the vocal charmer and his band the Vanguard, did a short tour internationally according to Stereo Gum. In February 2015, D’Angelo and the Vanguard visited Germany, Switzerland, the UK and France at popular venues across the globe. Known for his Billboard trending and Grammy-award winning hit single “How Does It Feel”, D’Angelo helped pivot the neo-soul music globally with his funkadelic vibes, sugared falsetto and impromptu stage presence. D’Angelo has worked with J Dilla, Erykah Badu, Lauryn Hill, Quest Love, Raphael Saadiq, Common, De La Soul and many others who were apart of the neo-soul movement in the early 90’s. D’Angelo recently performed with the “Queen of Hip-Hop Soul” Mary J. Blige at Samsung’s SXSW 2015 Interactive Shows. The Second Coming tour tickets will be available for purchase starting May 1st.